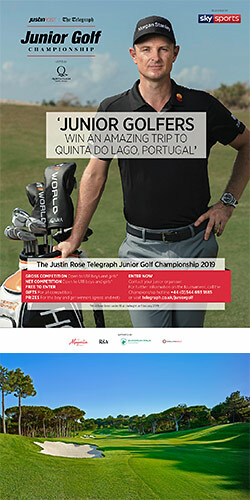 Qualification for the competition, which is supported by the R&A, European Tour and England Golf, is now open and details on how to enter or how clubs can get involved can be found at www.telegraph.co.uk/juniorgolf. Quinta do Lago North Course – Opening in October 2014, the totally revamped North Course has been redeveloped by renowned American golf architect Beau Well in close collaboration with 2014 European Ryder Cup captain Paul McGinley and is set to become one of the new stars of European golf. The new layout has been built to the highest specifications with a €9.6m investment programme and has been redeveloped with the emphasis firmly on precision and strategy. While many modern-day developments tend to focus on length, Welling and McGinley have been keen to design a golfing experience where accuracy and course management are the key factors, and a course that is playable and fun for golfers of all abilities. Quinta do Lago South Course – A favourite among European Tour professionals, the South Course calls for accurate drives and precise shots, but rewards players for their efforts with the stunning backdrop of the Ria Formosa Natural Park. Regularly included in Golf World magazine’s ‘Top 100 Golf Courses in Europe’, the par-72 layout has received widespread praise for its strategically-placed hazards and varying difficulty across the 18 holes. Having hosted the Portuguese Open on no fewer than eight occasions, the South Course is regarded as one of Portugal’s premier golfing venues. Laranjal – Designed in the grounds of an orange grove, the par-72 course was named as Portugal’s Best Golf Course 2011 at the Portuguese Travel Awards, and poses serious tests for players of all abilities. Opened in 2008, Laranjal offers a pure golfing experience right next to the Quinta do Lago estate and features fairways sown with Bermuda grass, providing a challenging playing environment in a picture-perfect setting. Paul McGinley Academy – Quinta do Lago is home to the only Paul McGinley Academy in the world, founded in October 2011 by Europe’s 2014 Ryder Cup captain. With a strong involvement from McGinley himself, who is a regular visitor to the resort, the academy aims to cultivate and improve golfers’ play by providing them with the tools and techniques used on the professional Tours. The academy focuses especially on younger players, working in collaboration with local schools and is the perfect way to follow in the footsteps of the pros. TaylorMade Performance Center – Quinta do Lago’s TaylorMade Performance Centre is the only facility of its kind in Portugal and is located on the resort’s expansive driving range. Opened in May 2013, the centre is operated by trained TaylorMade technicians, offering golfers a custom-fitting experience testing hundreds of club and iron options, ensuring the best combination for every player’s swing. It also has a fully-equipped Tour standard workshop and utilises FlightScope X2 radar technology to measure the entire flight of the ball from impact to landing whilst displaying its 3D trajectory in real time.